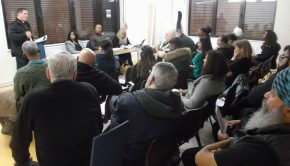 A packed Handsworth Wood Ward Forum meeting on Tuesday night saw another phase of the rising tension between growing resident aspirations and frustrations on the one hand, and the Council’s decreasing capacity to respond on the other. Centre stage was the issue of planning control. Residents have no belief that the system currently operated by the Council reflects the potential of planning legislation and processes to provide an overview of an area’s ‘wellbeing’, together with the blocks and sanctions necessary to promote and maintain it. An inappropriate planning application in Friary Road has been turned down with intervention from Councillor Kooner, but there is still the prospect of a successful appeal; residents feel very strongly that a ‘one by one’ approach fails to capture overall impacts. The strength of feeling on this issue is such that no ongoing form of governance will have credibility with local residents unless it delivers increased control over planning permissions and change of use applications, and the environmental and social issues which flow from them. Councillors Kooner and Hamilton worked hard to maintain a positive focus, and to use the tools still available to them to address particular issues, but the main concerns now require more strategic thinking from both Council and residents. Councillor Hamilton said she would request Cabinet to approve research into how other Local Authorities have solved the rubbish problem. One glimmer of hope was the suggestion that the ward may be about to be included in the ‘Landlord Licensing Scheme’ pilot, aimed at increasing control over what is happening in the private rented sector, but this is not certain – it needs to be. 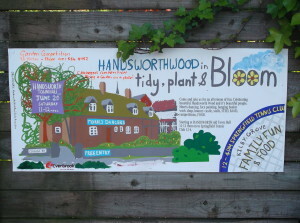 1.A gloriously positive presentation from Handsworth Wood Residents Association of how Innovation Fund support has enabled them to take the Handsworth Wood In Bloom initiative to new levels of participation across every age and cultural group. Over 1,000 people have participated in each of their last two annual celebrations, and the next one will be on 30th June 2018 at Uplands Allotments. 2. Further consultation on the Ward Plan. Some details were added on the core themes of rubbish, planning, open spaces, young people, and jobs and skills. You can still add things by e-mailing Lesley Bannister at Lesley.Bannister@birmingham.gov.uk before 22nd November. Councillor Kooner emphasised the limited current use of these plans to inform overall decisions about budget priorities in the City, and that the Plan would be an evolving document – taking us through and beyond the changes in ward boundaries next year. 3. Selborne Road HMO. A house in Selborne Road has, without planning permission or consultation, been converted into 11 separate units, and has been operating as an HMO since July this year. 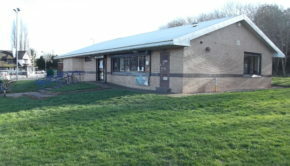 It is said that the facilities are poor, including parking, and that there have already been problems with rubbish. 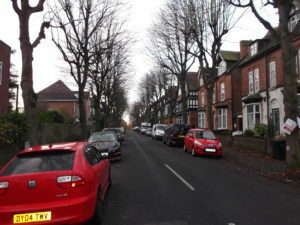 Residents have been unable to get any meaningful response from Planning or anyone else. Now there is a retrospective application for planning permission with a deadline of 22nd November, and residents want permission to be refused at this stage. The councillors said they would make enquiries and see what they could do. 4. Multiple licensing. Several licences are being granted at the same property for activities like the processing of scrap metal, meaning that the effect for neighbours is highly disruptive. Councillor Kooner said she would take this up with the Planning department. 5. 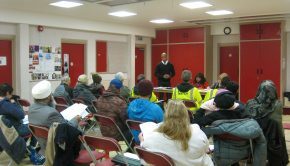 Streetwatch volunteers. The police have obtained funding for a scheme to check on driving speeds in the ward and enable them to take action against offenders. They need between 5 and 10 volunteers for 2 hours each per month to work alongside the local police team operating the speed checking equipment – full training will be provided. 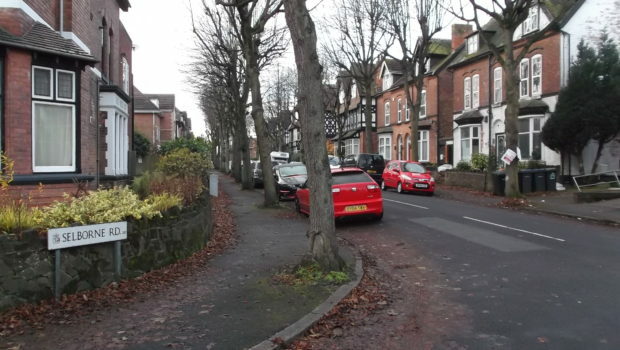 Details of the scheme are being sent to councillors for circulation, and it is also hoped to put them on the WMNow site. 6. Pedestrian crossing on Antrobus Road. Cars are consistently parking right up to and even on this crossing which was installed at the site of a fatal accident. Councillor Kooner said she would e-mail the Highways Department and ask them to look into it (later discussion suggests this may be about the marked speed bump at the entry to Antrobus Road from Grove Lane). 7. Anti-social behaviour in Alyesford Road (including youths damaging cars with large fireworks). Emphasis was again put upon the importance of reporting all incidents to the police in order to help define their priorities, and reassurance given that reporting can be done anonymously. Reporting probably remains lower than it should be across the wider Rookery Road area, but a lot of multi-agency work is continuing to either change behaviour or remove offenders from the area. See police contact details at the bottom of the page. 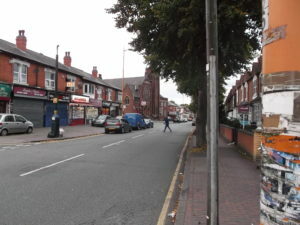 Finally, the meeting came back to planning control, and to a concern for a more strategic discussion of both this and the ‘bigger picture’ of Handsworth’s future – not least in terms of jobs and skills. 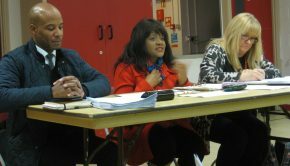 Several people wanted to start this discussion at the next ward forum, but councillors insisted it needed a different and bigger forum – the ‘when’ and ‘how’ of this remains to be decided. 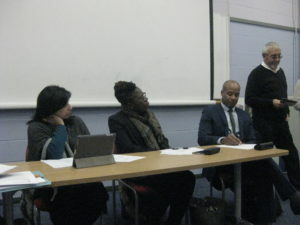 This article gives a true representation of the passion and frustration that all attendees expressed with regard to their hopes and fears – the struggle to maintain an adequate and sustainable quality of life within the present local and national economic climate and for the future health and welfare of our communities. Thank you for the update. Much appreciated!